Lots of computer users think that they need to reinstall the system after forgetting the password to log into computer. Actually that’s not the only way to help you out. The easiest and fastest way is to reset Windows XP password. It also can save you hundreds of dollars if you don’t have a Windows installation disk and need to purchase one for it. Forgot Windows XP password and you haven’t created a Windows XP password reset disk previously? The tutorial walks you through the procedures to reset forgotten Windows XP administrator password using Command Prompt, Safe Mode and bootable CD/USB disk. 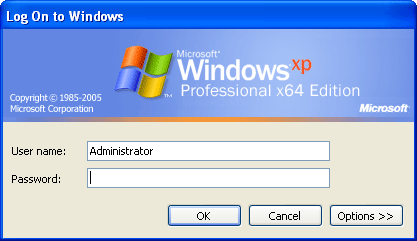 In every installation of Windows XP, there is a built-in and default account named Administrator, which is equivalent to super user or root in Unix/Linux system. By default, the default Administrator account has no password. However, if you’ve set up another user account, the Administrator account will be hidden from the logon screen. After logging into the default Administrator account, open the Control Panel and you can reset Windows XP password for any user account. If that doesn’t work, you need to use a Windows XP password reset bootable CD. Almost all Windows versions provide a built-in method to recover forgotten password by using “Password Reset Disk“. If you created a Password Reset Disk in past, you can use that disk to reset the password. If you don’t know how to create a password reset disk, lets tell you in details. You can create the password reset disk using Control panel -> User Accounts applet. Follow the instructions and you’ll have a password reset disk in your hand. 1. Start your computer and when you see Windows Welcome screen (Login screen), press <ctrl>+<alt>+<del> keys twice and it’ll show Classic Login box. 2. Now type Administrator in Username box and leave Password box empty. Now press Enter and you should be able to log into Windows. 3. Now you can reset your account password from “Control Panel -> User Accounts“. 1. 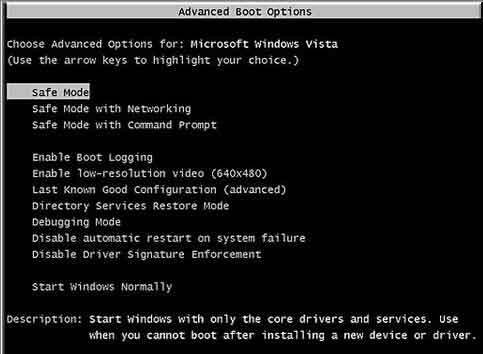 Boot using Windows XP Setup CD and follow the instruction like Accepting EULA, etc. 2. When it asks to repair your existing Windows installation, accept it and press “R” key to run the repair. 3. Setup will start repairing your Windows and will start copying files, etc. 4. After a few minutes setup will restart your system and when it restarts, don’t press any key when it shows “Press any key to continue…”. Otherwise Setup will start from the beginning. Don’t press any key and setup will resume where it left. 5. Now it’ll start doing other tasks and will show a small progressbar with a few details in left side. 6. Look carefully at the details and when it shows “Installing devices“, press <Shift>+F10 keys together in your keyboard. 7. It’ll open a Command Prompt window. Now type nusrmgr.cpl and press <Enter> key. 8. It’ll open the same “User Accounts” window which you see in Control Panel. 9. Now you can remove or reset any account password without any problem.